Lowest volume is still too loud—how can I make it even lower? 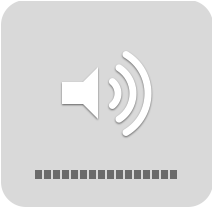 The lowest volume I can get by pressing the volume keys is still too loud when I'm wearing headphones. How can I make it even lower? I have a Mac Mini 2011 (5,1) running Mountain Lion. Pressing ShiftOptionVolume Up/Volume Down allows you to adjust in quarter-box increments. You can also click the volume icon in the menu bar and fine-tune with the slider, or open the Sound panel in System Preferences and get a bigger slider there, which would allow for finer control. I'm surprised with the comments, about the fractional size precison. So, here are some technical details. each physical device has different audio properties, whats mean volume 0.5 for internal apple speaker will produce different "decibels" as for example "usb" attached speaker. Apple script currently converting the entered applescipt decimal value (now between 0 and 7) to system-level value between 0 and 1.
osascript -e "set volume output volume VALUE"
The VALUE is an integer between 0(mute) and 100(max volume), what is converted to 100 linear system-level volume-value as: 0(mute), 0.01, 0.02 .... 0.99, 1.0 (max). osascript -e "get volume settings"
So, in the future (when the possibility to set the volume level with decimal values will be removed) will be possible only 101 exact volume levels - as integers between 0 and 100 (inclusive). Of course, this is for the applescript, programmers at system level of course can use any 32bit floating number between 0.0 and 1.0. As well as the ways covered in the other answers, there is another simple way to get a volume lower than one box full or one-quarter box full. This gives you a very quiet volume that is between mute and one box full. This zero-box-full volume is even quieter than one-quarter box full, the minimum volume you can set with robmathers’s Shift-Option method. However, if sound is playing while you set the volume using this method, the sound is muted for the moment between steps 2 and 3, which can be a little annoying. The problem in my case is that the Mac’s headphone output has a certain element of noise to it: for most head- and earphones, this simply isn’t an issue, but for mine, lowering the volume to an acceptable point means leaving me free to hear the background static that much more clearly. 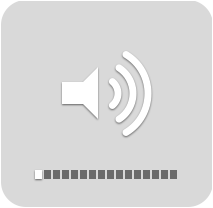 I just had the same problem with iTunes music being too loud on even the lowest volume setting. The solution turned out to be that iTunes has a separate volume control. Turning that down reduced the music volume enough that I could turn up the system sound volume a couple of ticks. This has the added benefit that system sounds are now audible over the music. When you hold SHIFT+ALTwhile pressing Volume UP/DOWN, you can change the volume in 1/4 increments. Not the answer you're looking for? 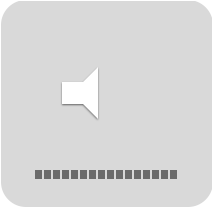 Browse other questions tagged macos audio sound-volume . How can I reduce the volume of music on my iPhone? How can I retain volume settings upon plugging in different speakers/headphones? Is it possible to put a hard limit on the sound volume?